CompTIA with Global Information Technology gives you Success. A leader in providing vendor-neutral certifications for skilled IT professionals. 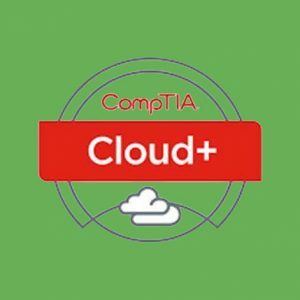 As a CompTIA Authorized Partner, Global Information Technology is recognized as a leader in the computer training field. Our comprehensive CompTIA authorized curriculum provides you with the IT skills you need on the job. With a robust schedule of course offerings, CompTIA approved curriculum and CompTIA certified instructors , we put CompTIA certification within reach. There are 400,000 open IT jobs in the U.S.
CompTIA certifications are vendor-neutral credentials that cover the specific tasks and knowledge required for IT jobs, and are well-recognized in the industry.Eighty-six percent of IT hiring managers place a high or medium priority on IT certifications during the job candidate evaluation process, according to a 2011 CompTIA survey.IT professionals with certifications on their resume command better jobs, earn higher salaries and have more doors open to new multi-industry opportunities. 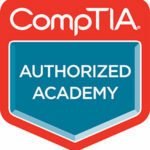 The average salary for a CompTIA A+ certified tech in 2010 was $50,364, according to a ComputerWorld salary survey. CompTIA’s vendor-neutral certifications ensure professionals have the foundation-level knowledge and skills to perform in IT job roles. With a well-rounded set of technology, business and soft skills, they are prepared to support the technologies they’ll encounter in today’s multi-vendor – – Computing environments. The U.S. Department of Defense recognizes CompTIA certifications in its technical and management tracks for information assurance technicians and managers under DoD Directive 8570.1M. CompTIA certifications are also part of the State Department Skills Incentive Program (SIP). To keep up with new IT projects and service delivery commitments, you must continually find qualified people who can support, extend, teach, sell, install, test, train, troubleshoot and help other people use the plethora of evolving technology products and systems. Certified CompTIA professionals can help make your customers, other employees and shareholders happier. Why Hire CompTIA Certified Professionals? In a rapidly evolving field like technology, employers can find it difficult to pinpoint the job candidates with the right knowledge and skills to fill these positions. CompTIA Certified Professionals are Good for Business.